Eleanor Kerrigan has a small part in the sixth episode of Entourage’s eighth season. She portrays Andrew Dice Clay’s wife near the episode’s 22-minute mark and scrambles to grab a panicked Drama some water after his tense call with Phil Yagoda. 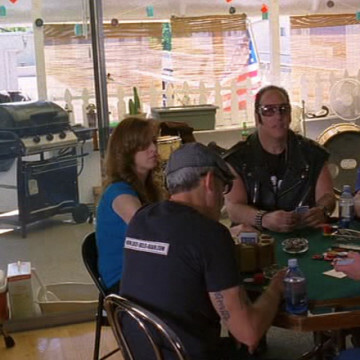 Kerrigan was actually engaged to Andrew Dice Clay for a while and appeared in the Showtime special Andrew Dice Clay: Indestructible.